An increasing number of school district leaders have started to prioritize their communication and branding efforts to help them attract and retain families and job candidates. Skyward, a K-12 administrative software provider, aims to set districts up to pursue more efficient internal processes and improve school-to-home communications. Leaders at the company say use of their SIS and ERP solutions is helping districts position themselves as forward-thinking learning environments. Districts can create a more consistent and personalized experience for students, families, and staff. The district’s name and logo, not the vendor’s, become the most prominent visual identifiers. Parents can take advantage of Skyward’s social media-style message board to communicate with teachers, and students can access features like online assignments and future course requests. Skyward offers districts paperless processes and open lines of communication with job candidates through its applicant tracking feature. 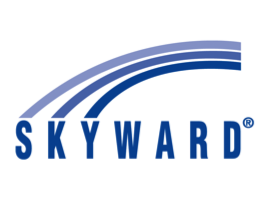 Visit www.skyward.com/buildyourbrand or stop into the Skyward booth (#2528) at ISTE 2017.